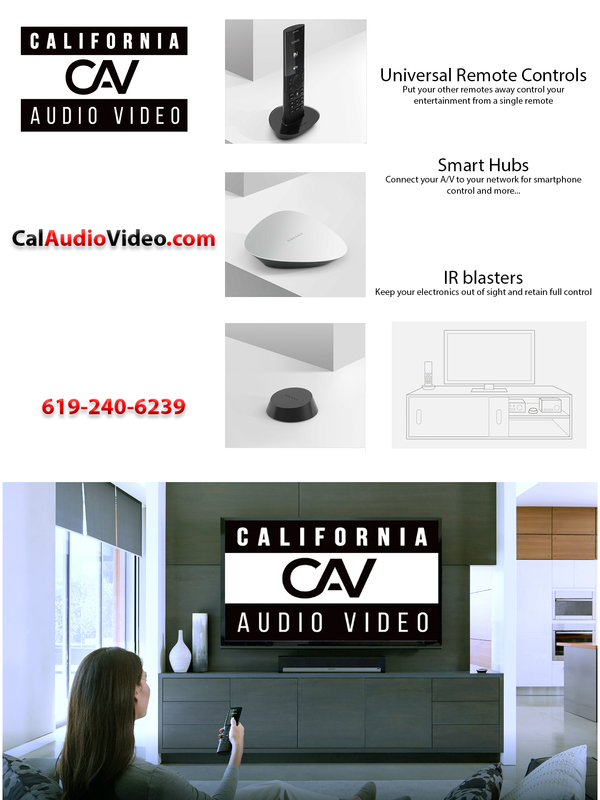 Are you considering hiring a San Diego TV wall mounting service? When you buy a luxury television, the last thing you want to do is install it yourself. Large screen TVs are bulky, heavy, and, if you drop one, you could be out all the money you spent. Hiring a TV wall mounting installation service will help you make sure that the job is done correctly. Your TV mounting will be done safely, the cables will be hidden, and you won’t have to worry about the TV falling off the wall and hurting you or a loved one. Let us do the job, and save yourself the hassle and the back pain. Best of all purchase a new SONY, Samsung or LG TV from us SAVE over big box competitors and receive complimentary delivery to your home or business! We will securely mount your TV to a wood stud or metal stud framed wall. 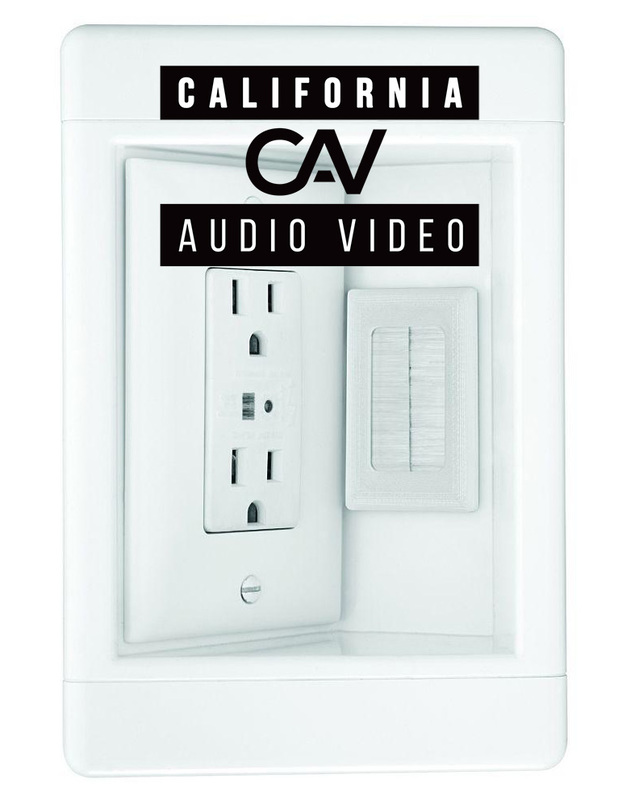 We will run in-wall rated audio video cables within the wall for a cable free, clean installation. We terminate all connections with decora style wall plates for a finished, factory look. 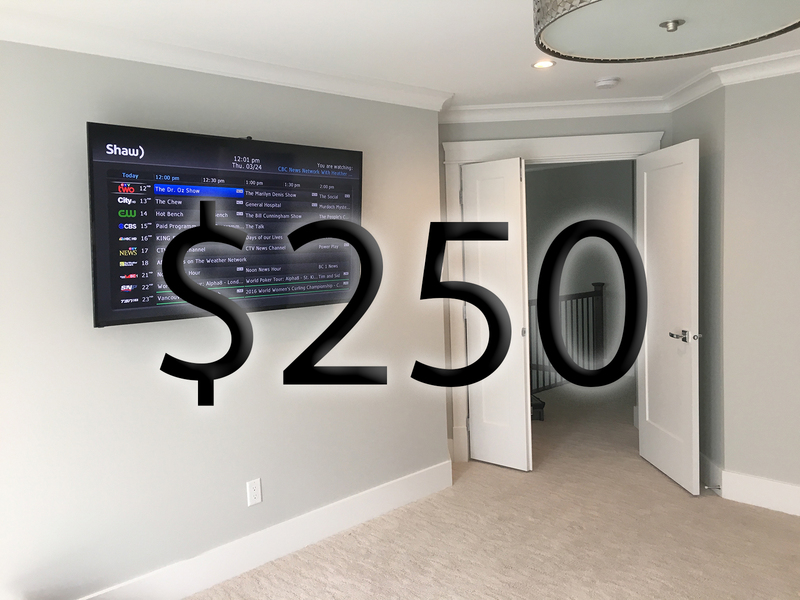 We will securely mount your TV above your fireplace * We will run in-wall rated audio video cables within the wall for a cable free, clean installation. We terminate all connections with decora style wall plates for a finished, factory look. 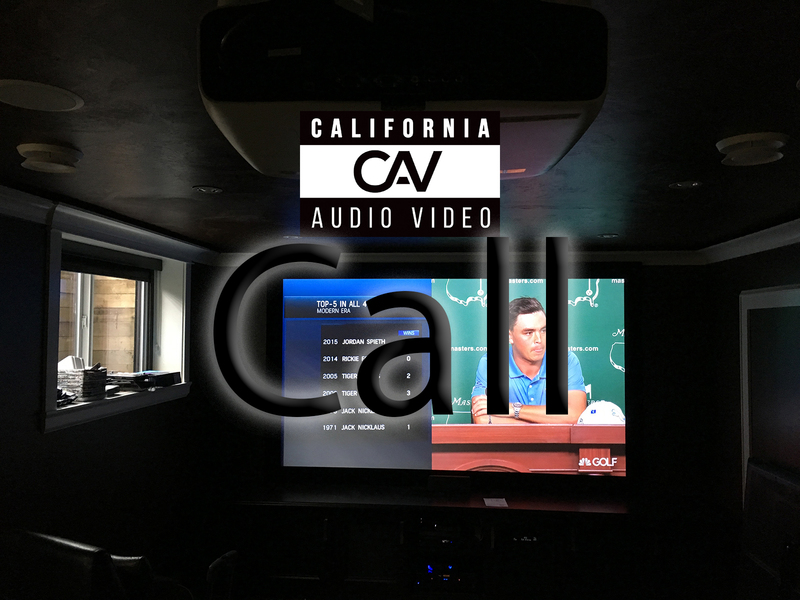 Contact us for custom home theater, surround sound or projector mounting installations in San Diego, CA. Have one of our licensed, certified electricians on staff take care of all your A/V electrical concerns. We will custom install your new electrical receptacle to your particular TV, projector and situation. Save money on hiring a separate electrician who may install your receptacle in the wrong place! Universal remote controls, smart hubs and IR blasters to keep your components out of sight while still keeping full control of your components. 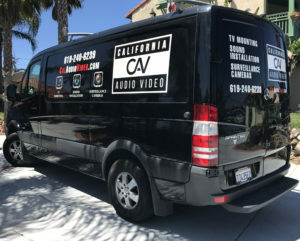 California Audio Video’s mounting service for TVs is not as simple as “hang the TV on the wall and then leave.” Our professional television mounting service will always help manage your TV’s component, make sure everything is connected for the best possible audio and video and ensure you have a beautiful cable free installation that is the envy of your neighbors and friends. 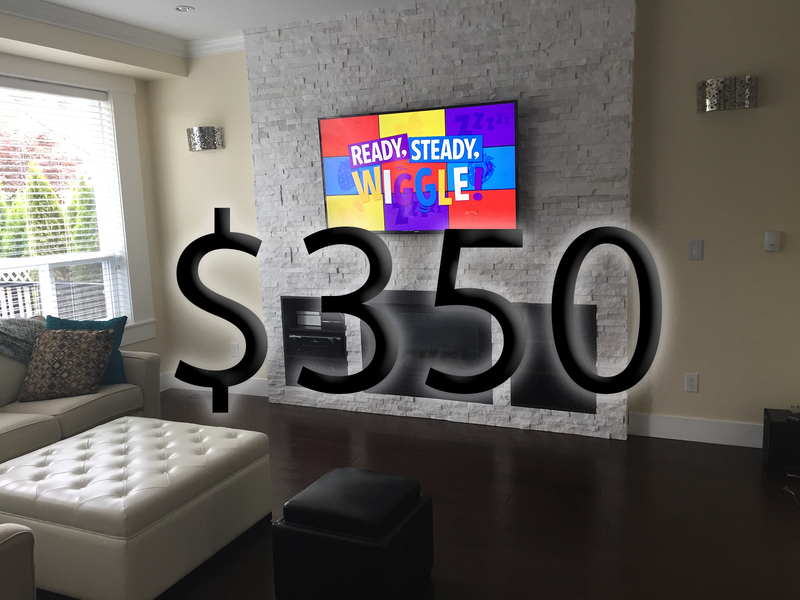 Ready for us to start your TV mounting or A/V project? Have a question? Give us a shout!